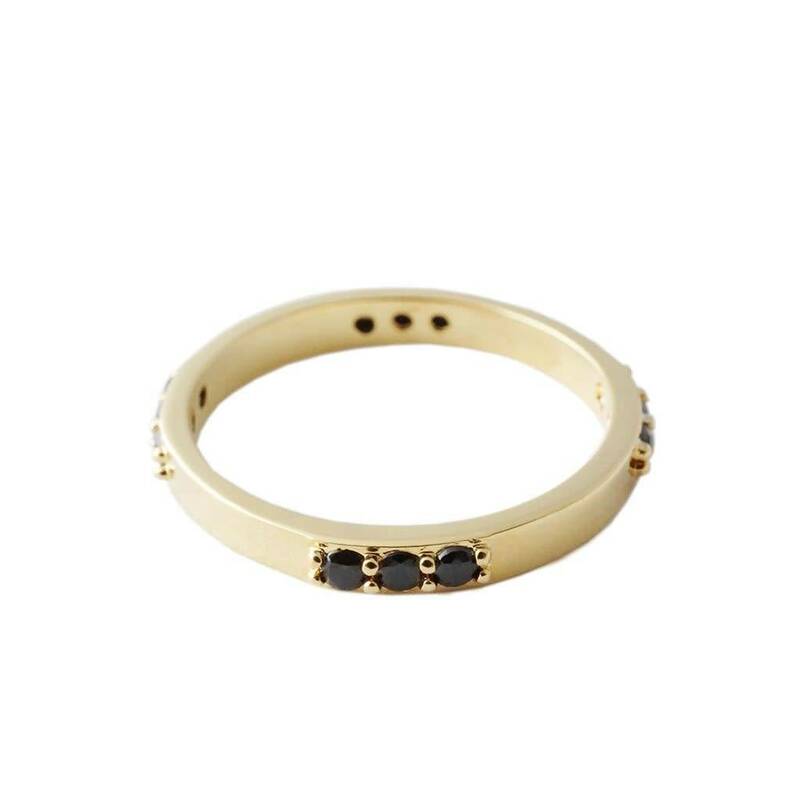 A smooth band dotted with trios of black crystals. 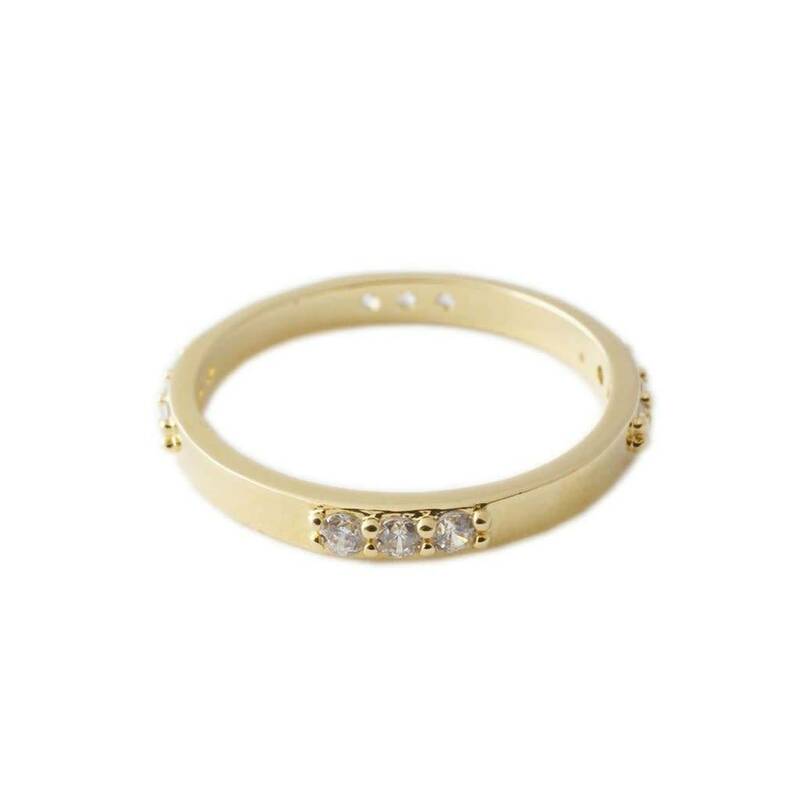 Available in gold, rose gold, or silver, with contrasting crystals in jet black. Band with is 2.5 mm thick. Available in size 5, 6, 7, or 8.